Sun. 5 p.m. - 9 p.m.
After almost 40 years the family has opened back in Capitol Park where it all began. Featuring a brick oven pizza, full bar, beer and wine. 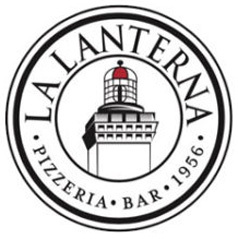 Located on the first floor of the Albert building, the new La Lanterna offers daily dinner service and a menu of Neapolitan-style brick oven pizzas, salads, paninis, pastas and other classic Italian entrees.